Our caring team at Jennifer Perkins, DDS has never met a stranger! New patients and longtime patients alike get a warm greeting when they visit our Huntsville, AL dentist office. And our all-female staff knows just how to put your entire family at ease. We do our best to put it into practice every day! With over 30 years of business experience, Gina is your go-to contact for your questions regarding scheduling, payment, or insurance. Her goal is to make our patients as comfortable and welcomed in our Huntsville, AL dentist office as they are in their own homes! When you leave, she wants you to feel as if you’ve enjoyed a visit with friends who just happen to work in a dental office. Libby was inspired to become a dental hygienist because of her admiration for her childhood hygienist. That hygienist became a mentor, showing Libby the importance of teaching and taking care of her patients. 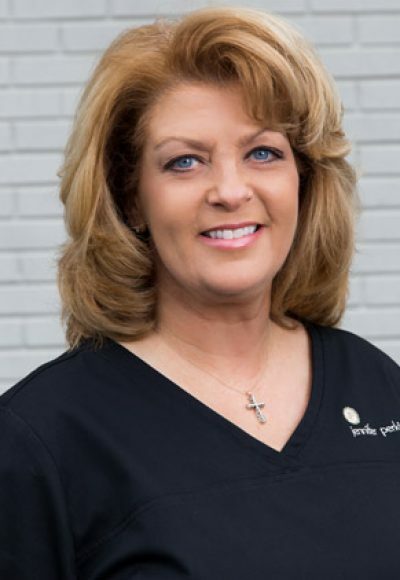 Libby received her dental hygienist license in 1985 and has an Associate of Applied Science degree in dental assisting. Molly’s favorite part of her job is seeing our patients fall in love with their smiles again. 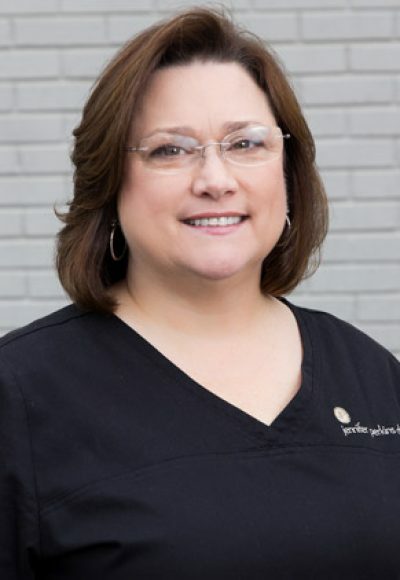 She is passionate about helping our patients achieve good oral health and takes pride in providing the best and most comfortable dental care. She looks forward to developing lifetime bonds with our patients. In her free time, you can find Molly spending time with her husband, Cole, in the woods, often hunting or horseback riding. 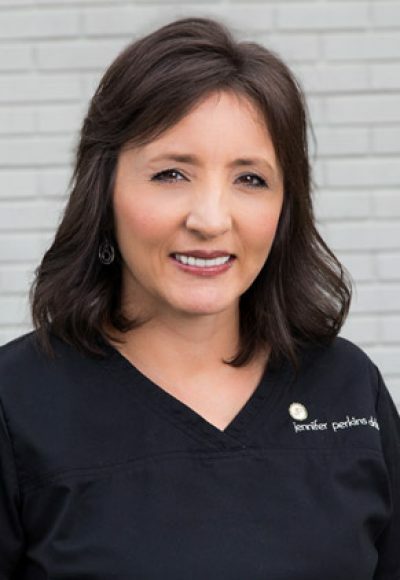 Tammy received her dental hygienist license in 1993, and she’s been part of the Jennifer Perkins DDS team for more than nine years. 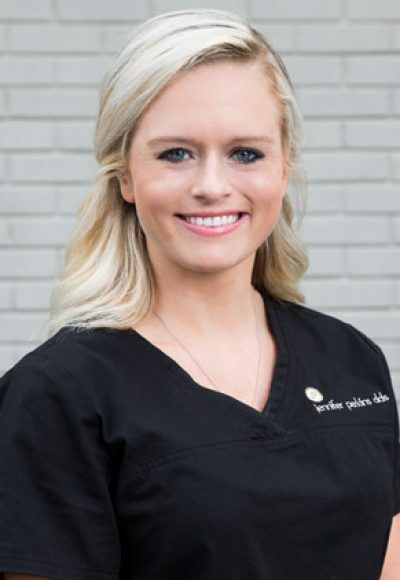 Her goal is to give our patients the best dental care possible and send them out of our office with a healthy smile. She enjoys creating relationships with our patients and hearing about their families and other activities. She enjoys spending her spare time with family and friends.